By the time he died in 1931, Thomas Edison was one of the most famous men in the world. The holder of more patents than any other inventor in history, Edison had amassed a fortune and achieved glory as the genius behind such revolutionary inventions as sound recording, motion pictures, and electric light. When Edison died on October 18, he lay in state for two days in the library of his West Orange complex, as thousands of people lined up to pay their final respects. On the third night, at the request of President Herbert Hoover, radio listeners across the country switched off their lights as a reminder of what life would have been like without Edison. Edison explores the complex alchemy that accounts for the enduring celebrity of America's most famous inventor, offering new perspectives on the man and his milieu, and illuminating not only the true nature of invention, but its role in turn-of-the-century America's rush into the future. An Insignia Films production in association with 42nd Parallel Films for American Experience. Narrator: In mid-October, 1922, a film crew arrived in the small town of West Orange, New Jersey, to spend some time with the most famous man in the world -- the phenomenally prolific American inventor, Thomas Edison. Over the course of a few days, the cameras captured the great man at work: chatting with employees and conducting experiments in his lab, overseeing tests of packing materials in his factories, and catching up on the latest advances in the device for which he was best known. 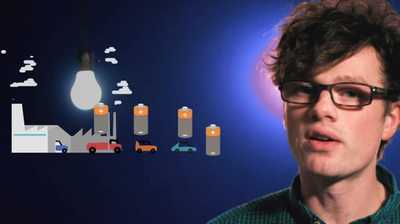 Nathan Myhrvold, Inventor and Entrepreneur: The things that Edison invented are so omnipresent in our society. They've touched the lives of millions and millions of people and totally changed them. We live in a world Edison invented. Narrator: Incandescent light, sound recording, motion pictures -- for these and scores of other inventions, Edison had justly earned acclaim as the "Inventor of the Age." Thomas Edison (archival): This is the replica of the first lamp. Narrator: But no mere machine could account for his metamorphosis from inventor to icon. Nancy Koehn, Historian: Well we think we are moving very, very fast today. Let me tell you, all those folks in Manhattan as Thomas Edison is walking the streets thought their bodies couldn't stand the shock of how fast they were moving. Narrator: Poised at the starting line of America's rush into the modern world, Edison became its standard bearer. Audio (archival): Hello! Hello! Hello! Narrator: The impact of his native genius made infinitely more powerful by his timing, his canny knack for self-promotion, and his compulsive need to win. Randall Stross, Biographer: Edison was very competitive. The more people who tried to find the answer, the more tempting it was for him to take it on. He was maniacally focused on maintaining control. Narrator: In the end, the intensity of Edison's drive proved both blessing and curse -- costing him the allegiance of a lifelong friend and control of the industry to which he'd given life -- even as it guaranteed him a kind of immortality. Robert Rosenberg, Thomas Edison Papers: There were other great inventors. Then there was Edison. He understood that inventing is not just having an idea, and so he made Edison a name to be reckoned with. Narrator: In the late winter of 1876, the scattered residents of Menlo Park, New Jersey eyed a curious new building, just up the hill from the train station. It could easily have been mistaken for a school, or a Quaker meeting house. In fact, it was a laboratory -- a 5,000-square-foot facility entirely dedicated to nurturing the ideas of one man, an up-and-coming entrepreneur by the name of Thomas Alva Edison. No private laboratory in the country was so well-equipped. From the apothecary jars filled with all manner of chemicals and organic materials, to the scientific instruments and shop tools, Edison had everything he could possibly need to make the natural world bend to his will. Lisa Gitelman, Historian: He had this keen sense that he needed different kinds of resources in order to invent, and so Menlo Park becomes a kind of a blank slate on which to come up with this idea of invention that's uniquely his. Nathan Myhrvold, Inventor and Entrepreneur: Most successful inventors throughout history were largely people trying to accomplish a task. They had a day job, effectively, and invention was a way of furthering that. Edison decided that invention was his day job. Narrator: At 29, Edison had the audacious ambition of a man who'd come from nothing -- and who had everything to prove. His was a classic American story: a spectacular rise from humble beginnings that soon would be told and retold and told again. Born in 1847 and raised in Port Huron, Michigan -- near the edge of a small country then on the verge of becoming great -- Thomas Edison was all pluck and initiative from the start. By his own account, he was curious to the point of mischief: he once spent hours sitting on a neighbor's goose eggs in an effort to hatch them, and set fire to a barn "just to see what it would do." Given just three months of formal schooling, he spent the carefree afternoons of boyhood reading his way through the library and obsessively conducting chemistry experiments in the cellar. Money was tight, so to finance his dabbling, he went to work at the age of 12, taking a job as a newsboy on the train that ran daily between Port Huron and Detroit. Along the way, in the stations up and down the line, he became fascinated with the telegraph, which was beginning to knit the growing nation together as the rails were -- only with lengths of copper wire. John Staudenmaier, Historian: Is there a more leading edge thing going on in his world than telegraphy, moving real information at the speed of light, with very sophisticated technologies to make it happen. He was amazed by it. He was that kind of kid. Narrator: Edison's fascination sparked a quest for mastery. He taught himself Morse Code and practiced sending and receiving telegraph messages for up to 18 hours a day, before finally landing his first job as an operator in 1862, when he was just 15. By then, he'd become aware that he was losing his hearing, the racket of the world growing increasingly dim. But with telegraphy, he found that deafness gave him an edge. "When in a telegraph office," he later recalled, "I could hear only the instrument directly on the table at which I sat, and unlike the other operators I was not bothered by… other instruments." Neil Baldwin, Biographer: This condition made him feel like he could think more and he could concentrate more. He became very introspective. He often felt like he was alone even when there were other people around. Narrator: For five years, Edison worked as a press operator, deciphering the dots and dashes of the news reports as they came in over the wires. But the task, once mastered, ceased to inspire him. Given his druthers, he took the night shift, which gave him plenty of free time to read and experiment. Before long, he was tinkering with the telegraphic equipment. Paul Israel, Thomas Edison Papers: Edison didn't have a lot of formal schooling. Most of his technical education came from the practice of telegraphy. The telegraph offices were schools of electricity. The nature of electricity itself was something he studied and learned how to think about how that system operated, how he might improve it. Edison slowly began to think of himself as an inventor. Nancy Koehn, Historian: Edison starts, at the core, the mother lode of the technological transformation in America. That's very, very important to the way that his mind and his confidence and his place at that machine kind of come together to launch the rest of his journey. Narrator: In early 1869, Edison resigned his post as a telegraph operator, and, at the age of 22, moved to New York with a few borrowed dollars in the pocket of his threadbare suit to pursue his career as an inventor. He spent the next several years bouncing from one short-lived partnership to another, mainly developing and manufacturing small lots of telegraphic devices on contract. "Sleep," Edison later recalled, "was a scarce article" in those days. But he was meticulous and tenacious -- and no technical challenge could cow him. Charged with perfecting others' crude machines, his agile mind spun out a seemingly infinite array of variations -- automatic telegraphs and printing telegraphs and so-called multiplex telegraphs, which were capable of sending more than one message at the same time on the same wire. The booming industry rewarded him with confidence -- and also with cash. As one associate put it: "If you should tell me you could make babies by machinery, I shouldn't doubt it." By the mid-1870s, Edison had a growing stack of successful telegraphic patents to his name and enough capital to finance his dream laboratory in Menlo Park. Paul Israel, Thomas Edison Papers: Edison took a real risk in going to Menlo Park. You had to be pretty bold to build this new thing -- invention laboratory. And you were going to become a professional inventor who was constantly cranking out new technology. But it was because he had this vision of how to become a great inventor. 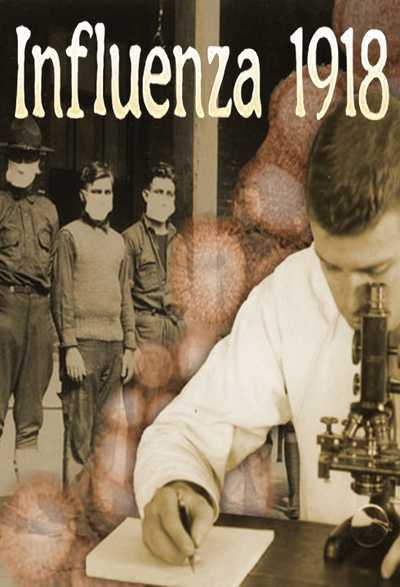 Nancy Koehn, Historian: This was astoundingly revolutionary, you know, "I want to invent. I'm going to be about invention," right. And, "I don't really want to be bothered lots of times with very much else." Narrator: It was May of 1876 -- and Edison was anxious to get down to work. His staff was already in place: a small group of experimental assistants and skilled machinists, many of whom he'd worked with for years. All that remained was to move in his family: his wife Mary, whom he'd met in the spring of 1871 and married several months later; and their children, Marion and Thomas Alva, Jr. -- or, as their Morse-loving father had dubbed them, "Dot" and "Dash." Edison installed them in a spacious house just down the hill from the laboratory -- and that, excepting Sundays, was more or less the last they would see of him. From the very beginning, Menlo Park thrummed like a hive. In the long, open rooms of the laboratory, as many as a dozen men were at work at once -- conducting experiments, cutting patterns, banging together crude machines. John Staudenmaier, Historian: Edison loved the chase. He wanted to break open very interesting and challenging problems with a lot of promise in them. Lisa Gitelman, Historian: The drive had something to do with technical inquiry. A kind of ambition to know where to figure out things that nobody had thought of yet. It wasn't just like answering questions that everybody knew were there and didn't have answers yet, it was like even coming up with the questions and answering them. Narrator: Though telegraphic equipment was still his primary focus, the plan at Menlo Park, as Edison put it to a friend, was to bring out "a minor invention every 10 days and a big thing every month or so." Robert Rosenberg, Thomas Edison Papers: And nobody had the kind resources that Edison had. He could say, "You work on this kind of carbon, and you work on this kind of carbon, and you work on this kind of carbon." Neil Baldwin, Biographer: He would keep track of how many hours he spent in a row on something and try to beat his last record. He was very into living above the store, if you will, and he really implicitly thought that everybody else should be like that. Narrator: "We work all night experimenting and sleep till noon in the day," Edison's chief experimental assistant, Charles Batchelor, told his brother. "Edison is...indefatigable...."
John Staudenmaier, Historian: It was a rowdy group of guys. It was kind of like a frat house, but they had the added thing of saying, "we're on the leading edge of progress, right here." Narrator: It was an age of marvels, as any of the nearly nine million visitors to the Centennial Exposition could attest. Opened on May 10th, 1876 on a sprawling 236-acre tract in Philadelphia's Fairmount Park, the exposition marked America's dramatic debut as the world's leading industrial power. Here was a steam engine so massive that it could run hundreds of machines simultaneously; an elevator that enabled a man to make an eight-story climb while standing still; and a battery-operated pen that produced multiple copies of a document at one time. "The American invents as the Greek sculpted and the Italian painted," the Times of London reported, "it is genius." But of all the wonders in evidence that spring of 1876, none was more astonishing than Alexander Graham Bell's telephone -- a revolutionary device that converted sound waves into an electrical signal, and promised to replace the telegrapher's dots and dashes with the sound of the human voice. Robert Rosenberg, Thomas Edison Papers: When Bell unveils his invention, Western Union turns to Edison and says, "this is important, we'd like you to look into this." Narrator: For Edison, there were few more powerful catalysts than competition. "I don't care too much for a fortune," he once said, "as I do for getting ahead of the other fellows." Bell -- college educated and bankrolled by his future father-in-law -- was the ideal adversary. Neil Baldwin, Biographer: Thomas Edison had no real deep abiding collegial respect for Alexander Graham Bell. Alexander Graham Bell existed as someone to be competed with and overcome and transcended and bettered. Paul Israel, Thomas Edison Papers: Edison saw competition as sort of a crucial spur to the inventive enterprise. He said an inventor needs an enemy. You know, he thought he was the best inventive brain around. And also he had his laboratory which could outdo anybody else. Narrator: It would take Edison and his team mere months to design a device that trumped Bell's -- a so-called "carbon button transmitter" that carried sound over much longer distances and turned the telephone into a commercially viable device. In the process, Edison stumbled upon the invention that would change his life forever. 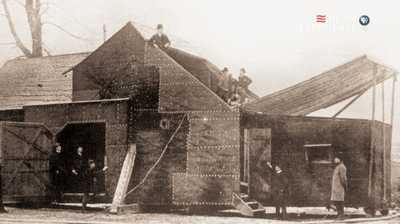 It was the summer of 1877, and the Menlo Park team was testing various materials for their acoustic properties. Edison, though unable to hear the birds outside, was nevertheless obsessed with sound -- its transmission constantly cycling through what one colleague described as his "kaleidoscopic mind." Neil Baldwin, Biographer: The kaleidoscope refracts the light in many different ways, but you're always within the same framework. That's exactly how his imagination worked. Paul Israel, Thomas Edison Papers: You can see these sort of patterns. It wasn't just thinking about different ways of doing one thing, it was also about thinking about how one technology might contribute to his design of another technology. Robert Rosenberg, Thomas Edison Papers: Edison had worked on a telegraph technology that made marks on a paper. So Edison was trying to figure out a way to do that for the telephone. How can I record this thing? He had the basic idea of the vibrating diaphragm from the telephone and he thought, "oh I'll put a needle in the middle of that and then I will take a strip of paper and I will pull that under this needle. And as you speak it will make impressions in this paper. And then you can pull it back through later and listen to it." Narrator: Initial experiments quickly gave rise to sketches for a crude machine Edison called a phonograph -- from the ancient Greek, meaning "writer of sound." The device was then refined in fits and starts, with Edison turning out drawings and his machinist John Kreusi creating models to test. Finally, they settled on a design in which a sheet of foil was mounted on a hand-cranked cylinder. John Staudenmaier, Historian: They're working on a thing. They were fooling around, "this is damn interesting, let's see if we can do something with it. I don't know whether anybody will ever use it but let's see what we can do." Narrator: When the machine was finished, the men in the shop gathered round, breathless as Edison recited into the diaphragm the classic nursery rhyme, Mary Had a Little Lamb. Archival audio: Mary had a little lamb, its fleece was white as snow. Narrator: Then, he moved the needle to the beginning to see if the rhyme would play back. Archival audio: Mary had a little lamb, its fleece was white as snow. And everywhere that Mary went, the lamb was sure to go. Robert Rosenberg, Thomas Edison Papers: Nobody had ever recorded anything before. And it just changes the way you think about the world, if you can play something back again. Nathan Myhrvold, Inventor and Entrepreneur: There was a miracle to it that I think goes beyond most of the things that we would currently experience. Sound was the most ephemeral thing we had, and Edison took it from being ephemeral, to being concrete and something that would exist for the ages. Narrator: "I was never so taken aback in all my life," Edison said. "I always was afraid of anything that worked the first time." Thomas Edison (archival audio): I introduce the most wonderful thing that I have ever experienced and I congratulate you with all my heart on this wonderful discovery. Narrator: The nation's leading technical weekly, Scientific American, was the first to publicize the phonograph, following Edison's demonstration of the device in the journal's New York offices on December 7th, 1877. "Here is a piece of metal," the paper's editor wrote in wonder, "that talks in such a way that there can be no doubt but that the inflections are those of the human voice." Leonard DeGraaf, National Park Service: All the new technologies are talked about, written about in Scientific American. And everybody who is important in these fields, whether you're an inventor, an engineer or patent attorney, you're going to read Scientific American. Robert Rosenberg, Thomas Edison Papers: Those physicists and scientists who were working on sound, and everybody who was following that and knew how complex sound was, here comes a joker with a little metal diaphragm, with a needle in the middle of it, and he records the human voice. Lisa Gitelman, Historian: Alexander Graham Bell and the people who had been working on sound you know would like smack themselves in the forehead, once they saw how simple it was. Narrator: "It is a most astonishing thing to me," Bell confessed to his father-in-law, "that I could possibly have let this invention slip through my fingers. The brief notice in Scientific American set off a stampede. Paul Israel, Thomas Edison Papers: Reporters beat a path to Menlo Park to hear this astounding thing. 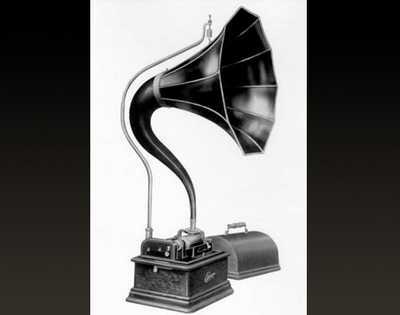 Lisa Gitelman, Historian: The phonograph made Edison world famous really kind of suddenly. He did demonstrations and the phonograph just blew people's minds. But more, I think, Edison made sure that he was a colorful character. He was an inveterate self-promoter. Neil Baldwin, Biographer: He was never there to welcome you. He would come in from elsewhere, like, with his lab coat, and he always wrapped a kerchief around his neck and he always had like smudges on his face, or like, you know, perspiration, or be mopping his brow or something. Narrator: Chairs were quickly offered, slices of pie handed round, cigars thrown on the table and everyone invited to help themselves. Edison meanwhile kept up a steady stream of jovial patter -- cracking jokes and touting the myriad wonders that soon would emerge from Menlo Park. John Staudenmaier, Historian: He had immense self-confidence, he had a sense of humor, and he would pull things out of the air that people weren't thinking about when he asked a question and he'd answer it in a way that, "wow, I never thought of that!" Paul Israel, Thomas Edison Papers: There was something about this guy that seems to have fit their vision of what the great American inventor oughta be like: Self-taught, good storyteller, you know, he's both down-to-the-earth, and also at the same time, the genius, right. He combines those elements so nicely. Narrator: Over the next several months, as sales agents fanned out across the country with demonstration models of the device, the phonograph's inventor became a full-fledged press sensation. One of Edison's associates judged it a "mania. 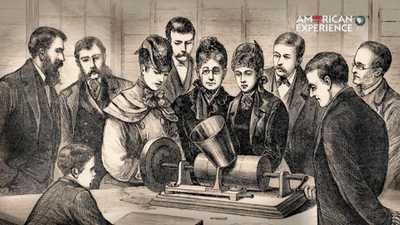 School girls write compositions on Edison. The funny papers publish squibs on Edison. The daily papers write up his life. When shall we get a rest[?]" John Staudenmaier, Historian: Edison's public image, it's a mixture of things. He is on the one hand a transcendent brain with a transcendent ability to discipline and focus. And then he takes naps on the floor and rumples up his suit. He doesn't put on airs. Ernest Freeberg, Historian: Edison is clearly a home-grown American, self-taught, Horatio Alger sort of fellow, an everyman. That was part of his appeal. Not a scientific genius, but somebody who was succeeding because he had a native spark of intelligence and a lot of hard work. He's a great American story. Nancy Koehn, Historian: You know it's not like he had a team of spin doctors making this whole story work a certain way. 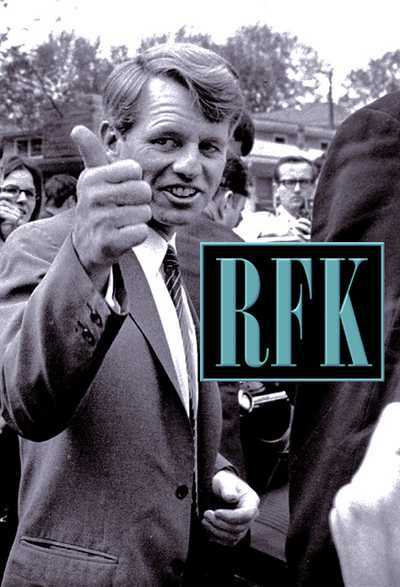 But a lot of pieces fell the right way in terms of his accessibility and his appeal to the American public at a time of you know great, often frightening, formidable change. Narrator: Finally, on April Fool's Day, 1878, reporter William Croffut credited Edison with having made lunch "out of the dirt taken from the cellar," using a "machine that [would] feed the human race." The spoof was lost on a good many readers. Already, the public had come to regard Edison as equal parts visionary and magician -- or as Croffut famously dubbed him, "The Wizard of Menlo Park." Nathan Myhrvold, Inventor and Entrepreneur: An invention is an idea, it's an idea that is useful. Somebody thinks of something and gives us a new device, a new approach, a new technique. And that new idea suddenly changes the world. Narrator: They were published in Scientific American each and every week throughout the late 19th century -- lists of new inventions and announcements of patents recently awarded. Ernest Freeberg, Historian: Americans as a whole were thinking of themselves as a nation of inventors. Some joke that a young American man would feel guilty going to his grave without having won a patent of his very own. This was something that everybody aspired to do. Narrator: To W.B. Austin of New York, for his Chimney Ventilator; to Joseph B. Underwood of North Carolina, for a newfangled Coffee Roaster; to John Senn of Illinois for his improved Remedy for Hog Cholera. Paul Israel, Thomas Edison Papers: The newspapers, you see the editorials about how it was the patent office now that represented American greatness, not the capital. And I think that beautifully captures the way in which America thought about itself, this growing industrial power on the verge of transforming the world. Ernest Freeberg, Historian: Americans often felt a little inferior to Europeans. They didn't have the great universities, they didn't have the great arts and literature tradition. But in the late 19th century, Americans said "this is what we do, we are inventors." Narrator: In the spring of 1878, Edison made a splash in the U. S. capital where he gave back-to-back demonstrations of the phonograph for members of Congress and President Rutherford B. Hayes, and sat for a portrait by celebrated photographer Mathew Brady. By then, news of Edison's miraculous device had spread around the world. Hordes of the curious were daily descending on Menlo Park. And Edison, hailed in the press as "Inventor of the Age," already was beginning to chafe at his celebrity. Randall Stross, Biographer: He is deluged with letters from strangers who want things from him. He creates this category in his mind of the begging letter. It might be money, it can be other things. So he found himself writing several dozen letters a day. He's also discovering when one reporter writes a long, flattering profile of him, there are going to be 10 others who want to write profiles of him, and he is spending more and more time every day doing the same, "Mary had a little lamb" demonstrations and not getting any work done. Narrator: "The reporters who come down here have already unstrung my nerves [so much]," Edison groused to a friend, "that I think of taking to the woods." Finally, in July, he did just that, heading west to Wyoming with a party of scientists to study an eclipse. Mary Edison, now pregnant for the third time, was left behind at home. Robert Rosenberg, Thomas Edison Papers: Mary was a working class girl. She was 16 when he met her. He was 24 years old and living for the next contract, the next invention, whatever it might be. Neil Baldwin, Biographer: He was on the ascendancy and she almost immediately, found out what it was like to be married to somebody who wasn't there. 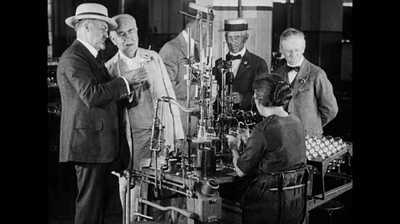 Robert Rosenberg, Thomas Edison Papers: His idea of a good time was always a night in the laboratory. Then the fame came, and that could not have been easy for her. She just didn't have the background. Narrator: Visitors to Menlo Park noted that Mrs. Edison was conspicuous, mainly in her absence. Often, she was ill, plagued by mysterious headaches, panic attacks, fatigue. During the time that Edison was away, Mary's nervousness grew so acute as to require the care of a doctor. And though Edison was advised by his secretary to hurry back, he nevertheless took more than three weeks to get home. Then, as usual, he headed straight for the lab. Nancy Koehn, Historian: He is all about his work, his vision, it's what made him tick. You know, there's the dream. And you get up in the morning thinking about it, and you go through the day obsessing about it. And you have people that support you in that, but those people, they don't exist on the same plane as the dream. Narrator: Back at his workbench, Edison considered the phonograph, which had drawn the interest of investors who hoped to market the machine for business use. For that, Edison would have to devise a more durable recording surface than tinfoil -- and just now, the prospect did not much interest him. What dominated his thoughts in that late summer of 1878 was something that had been knocking around in his mind for awhile: an invention suggested by three quick sketches he'd made in his notebook and labeled "Electric Light." John Staudenmaier, Historian: You can go back 3,000 years and you have artificial lighting devices. So what does that tell you? For a very long time people wanted to have a way to see in the very dim light of night. Robert Rosenberg, Thomas Edison Papers: Gaslights had been in homes for some times. They had certain drawbacks. The obvious one is it's an open flame. The not so obvious one is that they're filthy. Ernest Freeberg, Historian: Gas seemed the cutting edge, but it was a terrible technology. It sucked the oxygen out of the air, overheated rooms, spewed a sort of acidic vapor, all sorts of accidental leaks caused asphyxiation. It was a terrible problem. So people put up with an enormous amount of inconvenience to have this light. But Edison and others recognized that if they could create a light that was safer, that was cleaner, that they could tap into an enormous market. Narrator: On September 14th, 1878, while talking with one of the reporters who now regularly hung around Menlo Park, Edison lifted the curtain on his next big thing. In a matter of a "few days," he told the astonished scribe from the New York Sun, he would do what no one had ever been able to do: devise a way to bring electric light indoors. For fully 70 years, it had been understood that light could be produced by electricity, but the only commercial technology that so far had been developed was arc lighting -- a method that forced a current to jump between two carbon rods, and produced a light so blinding it could only be used outdoors or else in very large public spaces. Ernest Freeberg, Historian: The problem with arc light was that it was so bright that people could not bear to be around it, even if they set it up in city parks, people would sometimes use umbrellas to shield themselves from the intensity of the light. Narrator: The alternative was the incandescent bulb -- a technology that first had been patented in 1841, six years before Edison was born, and still, nearly four decades later, had yet to be made viable. Ernest Freeberg, Historian: It's not hard to invent a light bulb that lasts for just 15 seconds. The problem is to get it to last for many, many hours. The trick was to find something that would incandesce and not burn up. John Staudenmaier, Historian: This was a hot challenge. All kinds of people wanted in. Both sides of the Atlantic there were a lot of people working on this. Paul Israel, Thomas Edison Papers: I think as Edison began to look at what people had done, he realized, "you know what, I can figure out how to do this." Narrator: Although he'd done no more than a couple days' worth of preliminary experiments, Edison was sure he'd cracked the problem. "I have it now!" he crowed to the Sun reporter. "[Scientists] have all been working in the same groove, and when it is known how I have accomplished my object, everyone will wonder why they never thought of it, it is so simple." Lisa Gitelman, Historian: Lots and lots of people around the world were working on electric light. People announcing to the press, "Eureka! I have it," but you know the press was kind of focused on Edison. Narrator: Edison kept on grabbing headlines over the next month -- claiming to have conceived of not merely a long-lasting incandescent bulb, but also an entire electrical power system, which would be both cheaper and safer than gas. In short order, gas stocks plunged, and financiers began lining up at the Wizard's door -- all because of a germ of an idea. Lisa Gitelman, Historian: So he sort of mobilized his worldwide fame to find financial backers for half-baked notions that he didn't know were gonna work out at all. Paul Israel, Thomas Edison Papers: When he began to talk about it in the press, people say, "I want in on this." And they come to Edison and say, "we want to give you a bunch of money to solve this problem." Narrator: Until patents were filed, Edison declined to provide much detail about his plans. But he made a bold promise: in a matter of weeks, he would set lower Manhattan aglow with incandescent light. No pronouncement had ever been more spectacularly premature. Narrator: At Menlo Park, weeks turned all too quickly to months. As Francis Upton, a new hire in the laboratory, put it in a letter to his father: "The electric light goes on very slowly." It was then the late summer of 1879 -- almost a year after Edison had announced his intention to light New York. Ernest Freeberg, Historian: Many newspapers reported that they were trying to do something that really could not be done. They looked at Edison and said that he really doesn't understand the basic underlying challenges of creating an incandescent light. That it is scientifically impossible and the world was clearly starting to denounce Edison as a stock manipulator, and a fraud, and somebody who got lucky with the phonograph, but was out of his depth at this point, wasn't gonna be able to deliver on the electric light. Narrator: The criticism irked Edison -- not least, because he and his team at Menlo Park had been working more or less around the clock, and most especially because it unnerved some of his investors, a cabal of wealthy businessmen led by Wall Street banker J. P. Morgan. Ernest Freeberg, Historian: They had invested a lot of money. They were beating the doors, wanting to get some evidence that this was actually going to work. John Staudenmaier, Historian: Edison understood he had to keep sweet-talking the Wall Street people that were backing him and who kept saying, "So?" 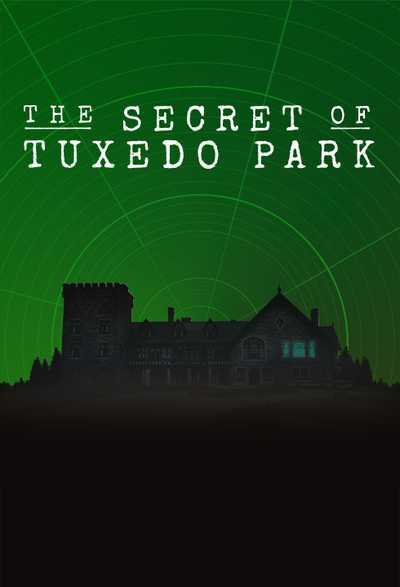 Lisa Gitelman, Historian: There were occasions when he had financiers out to Menlo Park to give them a flattering behind-the-scenes demonstration of what they were working on. There was impatience but there was also a lot of expectation. You know, you might as well have a little bit of money riding on Edison because he was gonna do something. Narrator: Edison had no doubt that he would succeed; what he needed was time. "There is a wide difference between contemplating an invention," he later said, "and putting the manufactured article on the market." Robert Rosenberg, Thomas Edison Papers: When he set out to work on electric lighting, he'd realized pretty early that the vision encompassed everything. And that this was going to be a slog. Lisa Gitelman, Historian: We remember famously the light bulb, but of course you've got to screw the light bulb into a socket, the socket has to be wired, the system has to be metered, there has to be a generator. It's really a massively complex system to put in place to get that light bulb to go off. I mean I don't think he, going in, realized how complicated it was. Nancy Koehn, Historian: He has that sense that if you take this energy form and you tame it, and then you distribute it in one central place, think of the network of people that can turn a knob and get light. This isn't a dreamy and gauzy kind of vision. It's a vision of, "this can happen, what do we do next?" Narrator: Already, the project had completely transformed Menlo Park. 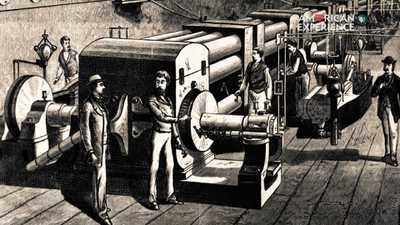 A new, state-of-the-art machine shop had been built, development of the various components of the system had gotten underway, and dozens of men had been added to the payroll -- among them, the new hire Upton, a 26-year-old Princeton-educated physicist whom Edison nicknamed "Culture" for his fancy educational pedigree. Nathan Myhrvold, Inventor and Entrepreneur: Upton was a more trained learned man. Edison was a little bit merciless, kind of teasing him about it. And at one point Edison asked him to calculate the volume of a light bulb Upton draws the light bulb and he approximates it as a sphere and a cone and a cylinder and he's calculating away, and while he does this Edison fills the thing full of sand and pours it out and effectively does a empirical measurement. You know showing his own sort of natural brilliance. Narrator: Upton took the ribbing in stride, awed by what he called Edison's "intuitions." In fact, intuition was just the first step. Equally crucial was the inventor's understanding of electrical laws, which had set him on a quest for a very particular sort of bulb. Over the previous months, a variety of substances with the properties Edison was after had been rigorously tested as filaments, and dozens of bulb prototypes designed. Still, as Upton put it to his father, "We have not as yet what we want." Nathan Myhrvold, Inventor and Entrepreneur: Edison is famous for saying that he didn't fail, he just found thousands of ways that didn't work. And to him that was a progress on the path of getting something that would. Narrator: By the summer of 1879, the Menlo Park team was gaining on its object. First, came the creation of high-vacuum bulb, so superior to any other ever produced that Edison was moved to share his results with the Association for the Advancement of Science. Then came a series of promising experiments with carbon filaments. Robert Rosenberg, Thomas Edison Papers: Now, the scientific world has taken notice. They may not see him as a great scientist, but the smart ones knew enough to respect that he was really good at solving problems. Narrator: Finally, in the wee hours of October 22nd, 1879, a bulb was fitted with a filament of carbonized cotton thread and -- as had become laboratory custom -- was left to burn. And so it continued to do, hour after hour, for more than 13 and half hours. Upton, returning to the laboratory at daybreak, was amazed to find the light still on. Paul Israel, Thomas Edison Papers: All of a sudden the possibility of a successful lamp became apparent to everybody in the laboratory. They realized, "Hey, this is the solution." Narrator: "If it can burn that number of hours," Edison said, amid the cheers of his men, "I know I can make it burn a hundred." "There will be a great sensation when the light is made known to the world," Francis Upton reported to his father, "for it does so much more than anyone expects can be done." Now, from the New York papers, came word of the public unveiling of Edison's light, to be held at Menlo Park on New Year's Eve, 1879. Paul Israel, Thomas Edison Papers: All of a sudden hundreds of people descend on Menlo Park. They have to put special cars on the trains in order to accommodate all the people that want to see this new marvel of Edison's. Paul Israel, Thomas Edison Papers: You could imagine what it must have been like, you're coming out from New York on a train, it's a dark night. Fields kind of snow covered. You get to Menlo Park, it's kind of up on the hill from the railroad track and you see these lights up there. It must have looked like a fairyland almost to people. Coming out in the dark of night to this place that was lit up in a way they'd never seen before. Narrator: Twenty lampposts lighted their walk from the depot, while the laboratory itself was "brilliantly illuminated," one reporter noted, with some 30 bulbs that glowed long into the night. Ernest Freeberg, Historian: The light bulb symbolized the ability to push back the night turning night into day, which had been a primordial limitation on humanity was amazing and transformative. Narrator: "[There can be] no particle of doubt in anyone's mind," raved the New York Herald, "that the electric light is a success and a permanent one." Jill Jonnes, Writer: Put yourself back into this world where everything, everything to do with light was a flame, and imagine that all of a sudden one day that changes. Paul Israel, Thomas Edison Papers: There was a sense in which we were entering a brave new world. That's what Edison represented. You know, the world to come. Nathan Myhrvold, Inventor and Entrepreneur: Any new invention, any really powerful idea is going to provoke awe and wonder, and a certain amount of anxiety. In the 19th century, technology was making radical changes. Narrator: By the early 1880s, machines had begun to usher America into the modern world -- warping time in a way that just a generation before would have seemed unimaginable. The journey from New York to San Francisco, which once had taken months, now could be accomplished in a matter of days; and a news story written in Washington D.C. on Tuesday was printed in the Wednesday papers in cities thousands of miles away. In the office and the factory, as well as on the farm, machines made the task at hand quicker, even as electric light promised to prolong the day. John Staudenmaier, Historian: Ordinary people feel like they are a part of a godlike force that is sweeping up a backward world and turning it into an immensely sophisticated, fast-moving, exciting place. I think at the same time, it is scaring the hell out of those same people. They don't understand how things work anymore. Where is the world going? Nancy Koehn, Historian: Edison understood that there was no halting this incredibly broad, incredibly powerful kind of wave of change that was sweeping over America. John Staudenmaier, Historian: People are saying, "we can trust this guy about a world that we don't know how to trust exactly. We can trust this guy. Nancy Koehn, Historian: He was so admired, and a lot of that was just the incredible interest he compelled by virtue of what he did at a moment when the modern world was being done. Edison is the machine in the garden, right. Chooo, let's go. And there are a lot of Americans, grabbed onto that held on tight and surged forward. Narrator: In February, 1881, Edison left his workbench at Menlo Park behind and began spending his days in New York, in an elegant brownstone at 65 Fifth Avenue, wired with some 200 lamps to serve as both showplace and headquarters for the Edison Electric Light Company. By then, the inventor's pledge to electrify Lower Manhattan had been stalled for more than two years, while his team grappled with the challenges of designing the world's first electrical power grid. "My light is perfected," Edison said. "I'm going into the practical production of it." With his family ensconced in a suite of rooms in a nearby hotel, the inventor plunged in. Ernest Freeberg, Historian: This was not a science experiment. This was a business. Trying to get a significant return on a significant amount of capital investment. So Edison had to follow the light bulb all the way to its full realization. Narrator: On Pearl Street, in the heart of Manhattan's financial district, two adjoining warehouses now would be transformed into Edison's central power station -- equipped with six steam engine-dynamo sets weighing some 30 tons each, as well as switchboards and control instruments and a bank of 1,000 lamps for testing the system. Meanwhile, nearly 80,000 feet of copper conductors would be laid below the surrounding streets. Ultimately, Edison planned to supply electricity to a swath of city blocks a mile square, and provide light to every subscribing home and business in the district with the simple flip of a switch. Jill Jonnes, Writer: It was massive, all of the different problems that he had to solve, but being Edison, he just very steadily pushed through. Narrator: First, New York City officials had to be convinced of the wisdom of running electric current underground before they awarded Edison the permit to tear up the streets. Lamps, meters, and the other system components had to be mass-produced, and it fell to Edison to oversee the factories. It was, as his secretary noted, "a gigantic undertaking" -- one that required the inventor to be administrator, manufacturer, and salesman all at once. And on top of it everything, there were the "money men," as Edison called them, who never failed to provide distraction. Jill Jonnes, Writer: J.P. Morgan not only puts his money into Edison's company, he decides that he personally is going to showcase this new amazing technology in his own mansion. So he lets Edison, who's up to his eyeballs with all these other problems, know that he would like someone to come and set up what was known as an isolated unit at Morgan's house. Jill Jonnes, Writer: Morgan's house is lit up, and Morgan had these various soirees to show it off, and many other rich people contracted Edison to come in and do these isolated units. Narrator: The isolated units proved profitable, but a pain. Neighbors complained about the roar of the machinery, which usually was placed in the customer's cellar or stable or else in a pit under the back garden. Wires crossed or short-circuited, and fires broke out. At least one hysterical housewife demanded the entire installation be removed. Still, the orders came pouring in. Paul Israel, Thomas Edison Papers: These isolated plants boomed. There are thousands of them. That was the way in which the company was making its money, but Edison's vision was a central station. And Edison wanted to make that happen. Narrator: Although the demands on Edison's time were relentless, whenever he could, he slipped out of his suit and away from the office, and headed farther downtown, to Pearl Street. There, in the shadow of the rising Brooklyn Bridge, his crews were at work, frantically digging trenches, laying mains, and troubleshooting equipment. By the summer of 1882, the project was finally nearing completion. Nancy Koehn, Historian: You had to be able to not just marshal the science, but then put the people and the money, the capital and the organizations together and the politics. I can't think of another figure who could operate on all those different levels. Narrator: On the afternoon of September 4th, the switch at Pearl Street was thrown -- and hundreds of lamps throughout the so-called First District simultaneously began to glow. Edison's power grid had successfully lighted one square mile of lower Manhattan; it seemed only a matter of time before it would light the world. Nearly four years had passed since Edison had promised to bring electricity into people's homes -- four years full of obstacles and pressure and the persistent, pioneering work of hundreds. Now that he had achieved what many thought impossible, the garrulous inventor was almost too worn out for comment. "I have accomplished all that I promised," Edison said to a reporter. And for once, he left it at that. Nancy Koehn, Historian: He hated anything that took him away from the tinkering and the thinking and the inventing, but he kept doing it. He says, "I know how to do this, and with God as my witness, I'm going to do this." And so that stubbornness gets us to this extraordinary accomplishment. That really, really, really changed the world. Narrator: It was the middle of July, 1884, and for Edison, just another long day of work in New York, when word from Menlo Park arrived. Mrs. Edison had taken to her bed in the house they still owned there; she was desperately ill. Mary's puzzling ailments had long been a source of stress in the Edison household. But in her grief over the recent death of her father, she had seemed more fragile than ever. A doctor had been called, but there was little he could do. At two o'clock in the morning on August 9th, Mary Edison died. She was 29. Paul Israel, Thomas Edison Papers: There's a good possibility that she may have died from morphine overdose. She appears to have had some serious complications from her third pregnancy, which created a lot of pain. In that era, opium and morphine were used in almost every drug, and accidental overdoses were not uncommon, but you know her death was pretty sudden. Narrator: Edison had hurried home barely in time to say goodbye. His daughter Marion later would recall waking to find him at his wife's bedside, "shaking with grief." 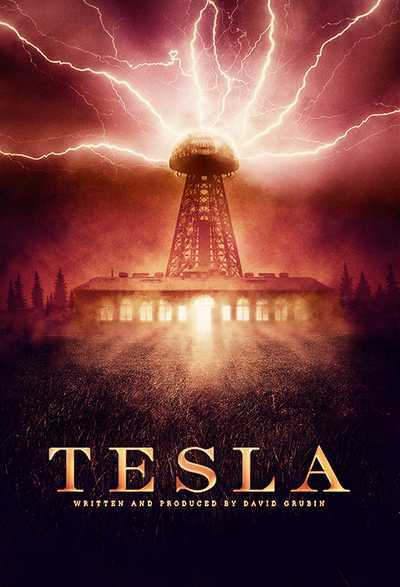 Randall Stross, Biographer: We can speculate that Edison felt guilt for having spent all these years, the entirety of their married life, removed from the household, immersed in the world of the lab. And now it was all over. Narrator: Under other circumstances, Edison might have immersed himself in work -- but he had no inventive project to consume him. Electric power had unraveled the creative fraternity of Menlo Park, as his trusted lieutenants had scattered to manage his various lighting concerns. Edison himself had spent the two years since the launch of Pearl Street working tirelessly to extend his system -- and though the effort had made him a millionaire, money for its own sake did not much interest him. Edison was 37 years old now -- and suddenly a widower with three children to raise. Just weeks after Mary's death, he left the boys in her mother's care, and with 12-year-old daughter Marion in tow headed for the International Electrical Exhibition in Philadelphia and a rendezvous with an old friend, Ezra Gilliland. Paul Israel, Thomas Edison Papers: They had known each other as telegraphers. They actually practiced their telegraph skills by transmitting Shakespeare's plays, so Ezra Gilliland is his best friend for many years. And in 1884 they meet in Philadelphia and decide that they're going to go off and become kind of an inventive partnership. Narrator: Collaboration brought a renewed companionship -- and, in the winter of 1885, a meandering leisure trip together south. In Florida, on a whim, Edison bought 13 riverside acres in Fort Myers and gave half the plot to his old friend. The two would build vacation homes there, side by side. Randall Stross, Biographer: Briefly Edison makes himself emotionally more open than he had ever been before. It's as if he had resolved to leave the world of work and try a different style in approaching life. Narrator: It was through Gilliland that Edison was introduced to Mina Miller, the 19-year-old daughter of a prominent Ohio industrialist. Edison, then 38, was instantly smitten. Before long, the young Miss Miller had become an obsession. "Got thinking about Mina and came near to being run over by a street car," he wrote in a diary. "If Mina interferes much more will have to take out an accident policy." Reunited finally while on holiday at Gillilands' summer home, Edison taught Mina Morse code, tapping out messages on her hand so they might communicate privately even when in company. He proposed in the same manner. Robert Rosenberg, Thomas Edison Papers: Unlike his first wife, Mina grew up in a very sophisticated world. She was the daughter of someone who was himself an inventor. She'd moved in society circles. She knew what it meant to be around famous people, and had a better sense than a lot of women would have of what it would be like to marry one. Neil Baldwin, Biographer: She realized he was Mr. Edison, she realized he was a big shot, but she had her own interests, and she had much more of a sense of herself. Narrator: With marriage came a new house, a grand 23-room mansion in West Orange, New Jersey. Three more children -- a daughter and two sons -- would eventually join the Edison family. Now that his domestic life was settled, the inventor was anxious to get back to his first love. Paul Israel, Thomas Edison Papers: The way in which Edison thought about himself as a family man is best captured by a letter to his second wife. He writes, "You and the children and the laboratory are the most important things in my life." And I think the inclusion of laboratory tells you a lot. I would argue that the laboratory probably ought to be at the top of that list. Narrator: "I want none of the rich man's usual toys," Edison had once told a reporter. "I have no time for them. What I want is a perfect workshop." Narrator: When it opened in December, 1887, Edison's "perfect workshop" was, in his own words, "the best equipped and largest laboratory extant." 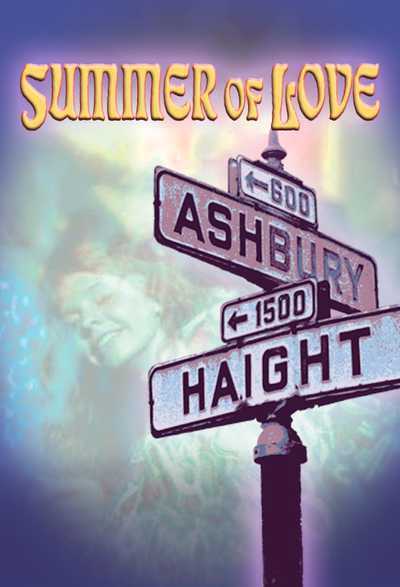 Occupying a corner lot on Main Street, just down the hill from his new home, the complex included a sprawling central structure that, at 60,000 square feet, was 10 times larger than Menlo Park. In addition to machine shops and chemical and experimental rooms, there was a vast technical library and a stockroom -- furnished, as the proud inventor quipped, with "everything from an elephant's hide to the eyeballs of a United States Senator." "My plan," he told a prospective backer, "contemplates to working on only that class of inventions which require but small investments for each... No cumbersome inventions like the electric light." Edison was fairly bursting with ideas: his catalogue of "Things doing and to be done" in the new laboratory ran to five full pages -- and included everything from artificial silk, to a snow compressor, to ink for the blind. Nancy Koehn, Historian: You can't work as much as he did, in as many different spheres with as much zeal as he did, if you don't have some real fire burning inside there. And that fire has to be a passion for what he was doing and literally the act of doing it. Nancy Koehn, Historian: He loves his mind. He loves slipping into it. For him it was exactly what made him come alive, what gave him his mission. And I can only imagine you know him lying on his cot, right at the back of the lab, having one of his catnaps. And then waking up and going, "oh what a… this is what I was thinking about and here's how I'm thinking about it differently now." And you know, and being in his element by being in the kind of very, very interesting, very, very active black hole of his thinking. Narrator: Edison had hoped to make a fresh start in his new laboratory. Instead, he would find his pursuit of new inventions eclipsed by old ones -- and his perpetual reach for the top rung this time would carry him straight to the bottom. Narrator: For the better part of a decade, Edison's phonograph had lain dormant -- "comatose for the time being," he'd told reporters when queried about it. But by the late 1880s, his old rival, Alexander Graham Bell, and his cousin, Chichester, a chemist, had picked up where Edison left off. Robert Rosenberg, Thomas Edison Papers: Alexander Graham Bell's cousin comes to him and says, "Tom, isn't this cool, look what I did. I've, I've done a mod to your phonograph." And he had taken the phonograph and put a sort of wax surface on it, instead of tin foil and Edison's basic response was, "Aha, not while I'm around, fella." Randall Stross, Biographer: Edison did not have a generous nature and he was most unwilling to say to a rival, "Well done." Lisa Gitelman, Historian: I think he, you know, got kind of anxious. I have this little bit of intellectual property here, I'm known for this, and now other people are sort of inventing around my invention, I better get back to it. Narrator: Denouncing the Bell associates as "pirates," Edison had vowed to best their machine -- and immediately set to work on what he called "the perfected phonograph." To assist in the effort, he'd made his friend Ezra Gilliland an official partner -- giving him charge of the marketing and manufacturing of the improved device. But when Gilliland expressed concerns over design flaws in one prototype -- and offered Edison his own ideas for potential improvements -- he was coldly rebuffed. It was impossible, Edison told him, for a man to do business and invent simultaneously. Paul Israel, Thomas Edison Papers: I think Gilliland did feel that he was more of an equal partner in this operation than Edison perceived him as being. The problem is that for Edison, nobody is quite his equal. Robert Rosenberg, Thomas Edison Papers: If you had your own ideas and you really wanted to go off, you were kind of in the wrong place because it was really Edison's party. Narrator: Then, in the spring of 1888, Gilliland was approached by an entrepreneur, who offered to buy the marketing rights to Edison's new phonograph. 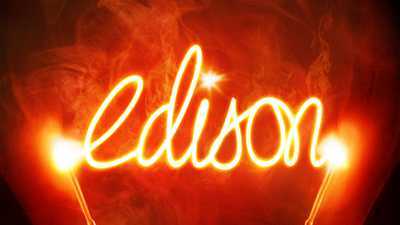 Edison stood to make $500,000 dollars from the sale; Gilliland, in a secret side deal, negotiated a payout for himself of $250,000. Paul Israel, Thomas Edison Papers: Basically Gilliland put a lot of pressure on him that this was probably the best deal he was gonna get. So, Edison gave into the pressure. Narrator: It was several months before Edison became aware of the sum paid to Gilliland, and then he was enraged. "I just learn you have made a certain trade… of a nature unknown to me," he cabled Gilliland, then in Europe. "I have this day abrogated your contract." Robert Rosenberg, Thomas Edison Papers: Edison felt it was an utter betrayal, and I think that stung him deeply in a way that he hadn't been hurt before. Randall Stross, Biographer: Edison from the moment he became famous, felt that people wanted things from him, and Gilliland was someone he knew from way back, so he trusted him. Edison would not allow himself to be in a vulnerable position again. Narrator: In Fort Myers, on the land the longtime friends had planned to share, two newly constructed houses stood side by side. Edison now instructed the caretaker to "cut the pipes" that supplied Gilliland's house with water. Neil Baldwin, Biographer: Thomas Edison had a highly cultivated sense of betrayal and either you were with him or you weren't. It was quite black and white in that regard. Narrator: By 1888, the electrification of the United States was well underway. In the six years since Edison had thrown the switch on the first electrical power grid at Pearl Street, his empire had grown to include 121 central stations in cities and towns across the country -- from Birmingham, Alabama to Grand Rapids, Michigan -- as well as numerous others in Europe and Latin America. But already, the industry he'd founded was bristling with competition. In 1884, Pittsburgh entrepreneur George Westinghouse had gotten into the game, buying up patents from electrical inventors in America and abroad, and quickly developing his own rival system. More recently, the Thomson-Houston Company, a longtime supplier of arc light, had begun installing its own central stations, using technology licensed from Westinghouse. Now, the race was on to light the dark corners of the world. John Staudenmaier, Historian: If you are the town council in a town of 5,000 people in Ohio someplace and you're debating, "do we want to electrify?" You know that there's Westinghouse, there's Thomson-Houston and there's Edison. All of them claim to be able to deliver a whole package to you. Narrator: Both Westinghouse and Thomson-Houston were peddling a new delivery system, developed in Europe and known as "alternating current," or AC, which employed high-voltage wires to transmit electricity over long distances -- as much as several hundred miles from the generating station. By contrast, Edison's low-voltage, direct current system -- or DC -- with its maximum delivery range of only a mile or two -- seemed downright antiquated. Jill Jonnes, Writer: You can imagine how much more attractive it was to a city if you came as a Westinghouse salesman and said, "we don't have to build power houses every one mile, we'll put something on the outskirts of town, and as your town grows," and remember this is 19th century America it's growing very, very rapidly, "we can just expand and provide more and more electricity from this one power station." Narrator: With his competitors undercutting him on cost, Edison was feeling the squeeze. To his 121 domestic stations, Westinghouse already had 68 -- after just one year in business. Paul Israel, Thomas Edison Papers: As AC begins to become a real serious competitor, and as the Westinghouse system begins to spread, increasingly Edison's closest associates are begging him to turn to AC. There are lots of advantages to AC, and Edison refuses to go along with them. Robert Rosenberg, Thomas Edison Papers: Alternating current is very complicated compared to direct current. To understand it, to make it work requires a level of mathematics he just didn't have. He just didn't have the background. Narrator: With his own dominance in the industry at stake, Edison's competitive streak short-circuited. This time, instead of out-inventing his rivals, he would conduct a ruthless campaign to discredit them. Capitalizing on a recent spate of grisly accidents involving high-voltage wires, Edison now sought to convince the public that AC was unsafe. "It is a matter of fact," he warned in a widely-circulated pamphlet, "that any system employing high voltage jeopardizes life." Paul Israel, Thomas Edison Papers: The safety issue was an important one. But it's also the case that there were ways to solve that and they were solved. And so, I think he had real concerns about danger, but this was his system. Narrator: From West Orange now came accounts of gruesome experiments designed to prove AC's deadly power: the electrocutions of dogs, calves, horses -- all by means of alternating current. Edison also offered his expertise to New York State in its effort to introduce a "humane" method of execution -- testifying that electricity would indeed be more humane than the gallows. Jill Jonnes, Writer: All of a sudden Edison who had always been against capital punishment suddenly is completely behind the electric chair, and he feels that the best way to do this is to use, guess what, Westinghouse alternating current generators, and it is fully his intention to associate everything to do with Westinghouse and his electricity with death. Neil Baldwin, Biographer: He had a very adversarial view toward other people's technology, and he fought to preserve his own technology, and that might've been his downfall. Narrator: In the end, Edison's grisly campaign made not a dent in his competitor's sales. And by 1890, it was clear to J.P. Morgan and the other partners in Edison General Electric that the future lay with alternating current -- and their future profits in a merger with Westinghouse's principal rival, Thomson-Houston. "If you make the coalition my usefulness as an inventor is gone," Edison warned. "I can only invent under powerful incentive. No competition means no invention." It was a price the money men were willing to pay. John Staudenmaier, Historian: Basically the Edison people said, "we're going AC." So he was forced out of that game, is really what happened. There's no question about that. Narrator: Edison had little to do with the merger, and in the course of the negotiations, his name was dropped. From then on, the company would be known simply as General Electric. Randall Stross, Biographer: He had backed the wrong technology, and the end was, he lost control. Narrator: Edison departed with stock in the newly-consolidated venture, and a seat on its Board of Directors. But he was eager to move on. "I'm going to do something now so different and so much bigger than anything I've ever done before," he told his secretary, "that people will forget that my name was ever connected with anything electrical." Jill Jonnes, Writer: Edison, who always wanted to look like the champion, said "oh, you know electricity is an old thing I'm really done with that. So you know I've created this world sort of lesser beings will move it forward." But the truth is, he was heartbroken. Narrator: Ogdensburg, New Jersey: a desolate region 30 miles from West Orange, strewn with quarries and scarred by mines, perpetually covered in dust. It was to this place that Edison retreated in the early 1890s, convinced that its stony landscape would yield to him the Next Big Thing. The United States was then in the throes of a building frenzy -- two decades and counting of railroads and bridges being banged together, cities stretching outward and up. All of it hinged on steel, and thus on iron ore, and the rich veins in the East were by now running dry. Edison intended to keep the nation's steel mills humming -- with an ingenious new process for extracting iron from low-grade ore.
Neil Baldwin, Biographer: He invented the process that began with dynamiting these mountains, breaking them into giant boulders, pulverizing the boulders in these giant, interlocking drums that break them further down, then break those down in to pebble size, pulverize that down through a screening system so you ended with this like very fine sediment, and that's when the iron was pulled out. Lisa Gitelman, Historian: Fantastic idea! To get iron ore to grind it up right? And then drop it, and have it drop past just let it drop past some magnets, right? And so the actual iron would be pulled out by the magnets and the worthless ore would fall to the ground. Genius idea. Narrator: It was not enough that the effort required Edison to design and build a whole series of gargantuan new machines; he also intended to automate the entire plant, so that the ore processed there would never once be touched by human hands. For the first time in many years, the inventor could once again immerse himself in inventing. Leonard DeGraaf, National Park Service: Fundamentally Edison is a technical problem-solver. It's basically what he wants to do. And that is, he wants to bring a bunch of his mates together and solve fun technical problems. And at Ogdensburg he's doing it on a massive scale. That is fun. That's like a big sandbox. Narrator: From 1890 on, as the plant took shape and the technical staff grew to more than 200, the Ogden works consumed more and more of Edison's time. Finally, in 1894, he moved up to the mine entirely -- promising Mina to return home to West Orange on Sundays. Neil Baldwin, Biographer: But he ended up building himself a little cabin up there. It was called the white house, but it was really kind of grimy and dusty and horrible, and he wrote some letters to his wife. It's like he's high off of how grimy it was, and disgusting it was. And in terms of his hands on approach you know describing crawling underneath these machines and fixing them himself because "there's nobody else who can do it." You know it's like a CEO that can't let go. You still have to get down to the nitty gritty, you can't help yourself. Narrator: At times, even to Edison, the enterprise seemed cursed. Machinery malfunctioned. Buildings collapsed. More than once, the plant had to be shut down for lack of cash. Having steered clear of partners, Edison had to shore up the venture with his personal fortune again and again, eventually selling even his shares in General Electric to keep it afloat. None of it seemed to faze him. As he put it in one letter to Mina: "your lover [is] as bright and cheerful as a bumble bee in flower time." Randall Stross, Biographer: He liked the idea of not being too old to handle rough conditions. Throwing out all of the comforts of modern life and living as a roughneck. Maybe it was a reaction to his having to keep Wall Street happy. There were no investors anywhere near that mine. Leonard DeGraaf, National Park Service: He's away from the pressures of being Thomas Edison, the "Wizard of Menlo Park." And so in Ogdensburg, he can be himself. Narrator: No matter the difficulty, Edison kept at it year after year -- so seemingly unconcerned with the bottom line that many took to calling the Ogden "Edison's Folly." Even before the plant was fully operational, the price for its product plummeted -- its value diminished by the discovery of a vast new source of high-grade ore in the Midwest. Edison finally admitted defeat in 1898. By then, he'd sunk nearly 10 years and some $2 million of his own money into the venture. Paul Israel, Thomas Edison Papers: Why did Edison stick with that for so long? It was a technical challenge that Edison really enjoyed taking on. In fact, he later says, you know, he he's talking to his assistant in the ore milling venture, at the end of it, and they're looking at where they've dug out all this ore, and big hole in the ground and this guy says, "Well you, you sure wasted a lot of money on that," and Edison says, "yeah but we sure had fun doing it." He had such a great time, right that it didn't matter that he spent that much money on this hole in the ground, so to speak. Narrator: In the quest for commercial iron ore, the inventor had instead found fresh inspiration. Nancy Koehn, Historian: There's something very interesting about how he literally lets go of what most of the people around him would call failure. And then moves forward without a huge amount of reflection, soul searching. He's thinking, he's seeing, he's observing, he's filing, but he's moving. This was a man who really didn't spend a lot of time looking backward. Narrator: They called it the "Black Maria," for its resemblance to a police wagon. Built in the winter of 1893, just outside the main laboratory at West Orange, the tar-papered structure had been positioned atop an enormous Lazy Susan so that it could be rotated to follow the sun, and outfitted with a retractable roof to maximize available light. It was from this curious building, on November 1st, 1894, that the shots suddenly rang out. Inside, America's beloved sharpshooter Annie Oakley -- Little Sure Shot -- was performing her act, firing away at tiny glass balls as Edison's latest invention captured the action in real time. The device -- an electrically-powered camera capable of recording motion – was the first of its kind in the United States, and a mechanical monument to Edison's unparalleled gift for synthesis. The idea had come to him nearly six years before -- sparked by a conversation he'd had with British photographer Eadward Muybridge. Paul Israel, Thomas Edison Papers: Eadward Muybridge, who was very well known for these animal motion studies had developed this device, it was a, revolving disk with these images on it and as it revolved with a light shining through it, it looked like motion pictures. And he gave a lecture in West Orange, which Edison attended, and afterwards they were talking. And Edison said, you know we ought to combine my phonograph with your machine and we can produce you know talking pictures. And then Edison got to thinking a little bit more about that, and he said "you know what, I can do that myself." Narrator: Within months, Edison had drawn up a patent application for an optical recording device called a "kinetograph" -- from the ancient Greek, meaning "writer of motion." The kinetograph, he promised, would "do for the Eye, what the phonograph does for the Ear." Neil Baldwin, Biographer: It makes the transition sound so effortless and truly brilliant. There's something God-like about it. I have solved the problem of the ear and that sensory, and now I will move to the other way that we perceive the world. Narrator: Further inspiration had been found during a visit to Paris in 1889, where Edison had met French scientist Etienne-Jules Marey, whose "chronophotography" captured 12 consecutive images per second on a long, continuous piece of film. Paul Israel, Thomas Edison Papers: Marey, who had been filming birds by converting a gun into a camera, so that as you pulled the trigger, he was actually taking rapid pictures of them, with strip film. This influenced Edison to go back and experiment with roll film. Robert Rosenberg, Thomas Edison Papers: Motion picture technology is difficult. You have to have film that stops, gets the image, advances, stops, gets the next image. And it has to do that 20-30 times a second. So you need film that can take the beating. You need film that's sensitive enough to do it. And Edison worked with George Eastman to develop the film with the sprocket holes, figuring out how the machinery's going to advance the film, stop it, advance the film, stop it. And he developed a really terrific camera, and that was his contribution. Narrator: Throughout, Edison had worked closely with his assistant in the mining operation, a sometime-photographer named William Dickson, who was largely responsible for the optics of the device. Now, Dickson had begun to produce the first films in what eventually would be the Edison Company's extensive catalogue -- a collection of short features meant to be shown, one at a time, on a coin-operated, peephole viewing cabinet called a kinetoscope. Randall Stross, Biographer: The first motion picture entertainment device was an ingenious contraption that allowed you to see a loop of film, a very short loop. Narrator: The inaugural batch of kinetoscopes were shipped from West Orange in April 1894 -- five to Atlantic City, 10 to Chicago, and 10 to a small storefront in Manhattan, a former shoe shop near Herald Square soon to become the world's first commercial "kinetoscope parlor." Randall Stross, Biographer: They were setting up the machines getting ready to open and curiosity seekers had gathered, and they decided to let them in, to give the machines a try and it turned out to overwhelm them. The public poured in. The novelty of the thing was incredibly attractive. Paul Israel, Thomas Edison Papers: The kinetoscope, it's a lot like the original tin foil phonograph. It's an astounding invention. People are enthralled by it, they want to see it, they want to experience it, but pretty soon it doesn't go anywhere, right. These short films, you pay a nickel, you see something, and all of a sudden, there's nothing magic about it. Narrator: Convinced that the constant interruption of having to move from one machine to another detracted from the viewing experience, Dickson and others on Edison's team urged him to develop a projection device. But the inventor was reluctant. "If projectors replace kinetoscopes," he argued, "there will be a use for maybe 10 of them in the whole United States. Let's not kill the goose that lays the golden egg." In the end, others would beat him to the punch. In early 1895, French inventors Auguste and Louis Lumiere introduced their projection system to wild acclaim in Paris. Later that year, yet another system, called the phantascope, was unveiled at the Cotton States Exposition in Atlanta, Georgia. 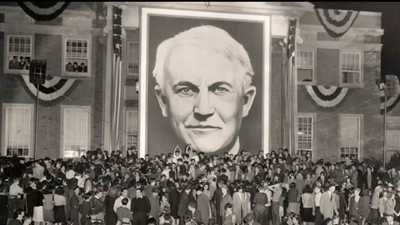 Paul Israel, Thomas Edison Papers: All of a sudden, larger than life figures appeared on a screen. And that was the future of motion pictures. Very rapidly, projection becomes something that people expect. Narrator: With no projector of their own to market, Edison's sales agents approached the phantoscope's inventor, Thomas Armat, and convinced him to sell the patent rights in his device to Edison. "The great majority of the parties... who desire to invest in such a machine have been waiting for the Edison machine," Armat was told, "and they would never be satisfied with anything else." Paul Israel, Thomas Edison Papers: They essentially say: you know that everybody's waiting for Edison, so why don't you just sell out to him, you'll do much better than trying to compete with him. Paul Israel, Thomas Edison Papers: I think in Edison's own mind, he could just slap his name on what became known as the Edison Vitascope, because by that time Edison is both the individual and he's the corporate Edison. He could be one or the other, depending on the circumstance. 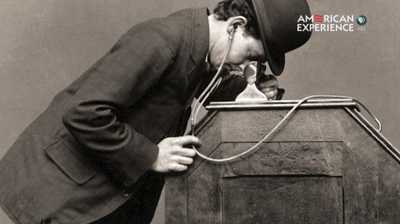 And in this case it was the corporate Edison that was the Vitascope. Narrator: Billed by the press as "the ingenious inventor's latest toy," the Vitascope made its public debut on April 23rd, 1896, at New York City's Koster and Bials' Music Hall -- throwing hand-tinted images across a 20-by 13-foot screen, and effectively launching the American motion picture industry in Edison's name. Nancy Koehn, Historian: The more you peel back the layers of Edison's work, the more you realize that part of his genius was about seeing how other people's achievements, thoughts, failures, small successes could be connected to push forward what he was working on in a big way. For Edison it was about taking all these ideas, all those different river streams, which were initiated or fed by all kinds of other people. And then building the aqueduct to channel the river. Already, fewer than five years after he'd abandoned the Ogden mine, the inventor had a half-dozen new projects on the wire, and was routinely putting in 80-hour weeks at the lab. From the wreckage of Ogden, using much of the same machinery and techniques, he'd spun a manufactory for cement which one day would be used in the building of Yankee Stadium and give rise to a grand plan to build low-cost housing with poured concrete. He'd immersed himself in the development of a storage battery, believing that the future of transportation lay in automobiles powered by electricity, and had once again revived the phonograph, this time for home entertainment. Gradually, the West Orange complex expanded to include a city block's worth of new buildings, where a thousand men and women were put to work making recordings and manufacturing cylinder records. Also vying for the inventor's attention was motion picture production -- now expanding into longer, narrative films; the manufacture of bulbs, fan motors, medical equipment, and other assorted devices; and the myriad details of overseeing the business empire that by 1911 operated under the umbrella of "Thomas A. Edison, Incorporated" -- now a worldwide brand. Randall Stross, Biographer: In their advertising, the Edison Companies would make much of the Edison name, as if the inventor stood literally over the loading dock and gave his blessing to every box that went out of the factory. Lisa Gitelman, Historian: His face was all over these products, his name was all over it, his signature was all over them. This is really the beginning of American trademark consciousness. Narrator: So valuable did the Edison name become that the inventor increasingly would find himself fending off its unauthorized use. And when his son, Tom, sold his famous surname to a fraudulent homeopathic medicine company, Edison offered to pay him a regular allowance if he would change it. For $25 a week, the inventor's namesake, "Thomas Edison, Jr." thus became known professionally as "Burton Willard." Lisa Gitelman, Historian: The weird thing is that he went after his son whose name was Edison because he was Edison. So I'm certain he was very aware of himself as a brand in really almost a modern sense. Narrator: It proved a savvy strategy. As technology wove itself ever more tightly into the fabric of American life -- with more and more households boasting a telephone in the hallway, and all manner of gadgets in the kitchen, and an automobile parked outside in the drive -- Edison continued to loom large in the public mind as the nation's foremost inventor. Leonard DeGraaf, National Park Service: Technology was spectacle. All these things were being developed that were just literally transforming people's lives. And the public really identified Edison with this new modern electrical age, so it translates also over into Edison sometimes getting credit for things that he didn't invent. Nathan Myhrvold, Inventor and Entrepreneur: If I'm at a cocktail party, and I tell someone that I'm an inventor, there's exactly two people they think of. They think of Thomas Edison, and the crazy guy in the Back to the Future movies, which is kind of an Edison lampoon. Edison single-handedly created the image of an inventor. Narrator: "Please accept the thanks, Mr. Edison, of one truly appreciative woman," a Kansas housewife wrote him, after extolling the virtues of her pressure cooker and her washing machine and her Victrola. "We women of the small town are indebted to you for our pleasures as well as our utmost needs." Narrator: It began in the early evening of December 9th, 1914. Sparked by an explosion in the film-finishing building, the massive fire leapt from structure to structure at West Orange, gathering force and momentum from the chemicals used in the manufacture of phonograph recordings, as well the records themselves. The flames could be seen from Newark, seven miles away. Throughout the evening Edison stood watching, as a constellation of local fire companies struggled to douse the blaze, which soon engulfed four city blocks. By 10 p.m., he'd already begun making a list of what would need to be done to recover. "Am pretty well burned out," he told a reporter on the scene, "but tomorrow there will be some rapid mobilizing when I find out where I am at." Although the main laboratory was untouched, by morning, most of the rest of the West Orange complex was molten rubble. Edison was undaunted. When informed that the damages were estimated at between $3 and $5 million, he just laughed. "Although I am over 67 years old," he said, "I'll start all over again tomorrow." Narrator: The years to come would see Edison winding down: spending less and less of his time at his West Orange complex -- which eventually was rebuilt -- and more occupying a new role as a full-fledged celebrity. Thomas Edison (archival audio): Mary Had a Little Lamb, its fleece was white as snow, and everywhere that Mary went, the lamb was sure to go. Narrator: He was often seen now gallivanting about the country with fellow American hero Henry Ford, who, as a young man, had worked briefly for the Edison Illuminating Company in Detroit -- and had idolized the great inventor ever since. Paul Israel, Thomas Edison Papers: As Ford tells it, he talked to Edison about his ideas for the automobile and after Edison took a look at-at his plans, he said "go for it -- I think you've got the answer here." Ford clearly saw Edison as somebody to model himself after. And they began to become friends. Narrator: Calling themselves "the vagabonds," the two men hit the road each summer, together with naturalist John Burroughs and tire magnate Harvey Firestone -- Edison, usually in the lead of a caravan that included a field kitchen, dining tent, laundry service, and a contingent of cameramen from Ford's publicity department. By the second annual sortie, which also included wives, the press was bringing up the rear. John Staudenmaier, Historian: They were media extravaganzas of the first order. But it was nostalgia for them four guys out there in the woods, cooking and making their coffee, and it was a nostalgia for the people that loved to see those stories. The old guys still got it, look at that. Narrator: Fueled by extensive publicity, the details of the Vagabonds' adventures circulated through the national conversation: the rib-eye steaks that were served for dinner; the campfire debates about Mozart and Shakespeare; the fact that one year, the Firestones even brought along their butler. Robert Rosenberg, Thomas Edison Papers: There is a story, they were out and the car was having trouble. They pull in to a small town and the guy says, "Oh, well it looks like the electrical system." And Edison says, "Naw." He says, "I'm Thomas Edison, I looked at the electrical system, the electrical system's fine." The guy looks at him. And looks at the car a little more and says, "Oh I see, it's in the fuel here." And Ford says, "No." He says, "I'm Henry Ford, I went through the fuel system, there's nothing wrong with the fuel system." And the fellow looks at John Burroughs who had a beard this long and says, "And you." He says, "You're Santa Claus, right?" Narrator: Almost mythic in stature now, Edison could barely turn around without being honored. One poll named him "the Greatest Living American;" in another, he beat out Theodore Roosevelt and William Shakespeare as the "greatest man in history." There was a Congressional Medal, a commemorative stamp -- even a song, entitled "Thomas Edison: the Miracle Man." Nancy Koehn, Historian: Journalists, politicians, individuals, other inventors, pour their ideas about what constitutes invention into a file folder called Thomas Alva Edison. And that's not his doing. A lot of it is just where he was at the time and the kind of impact he had that doesn't ever right in some sense get balanced against the failures or the people that fed the river of those inventions. He gets to end up holding it, right, and stands atop the mountaintop as this great, great inventor. Robert Rosenberg, Thomas Edison Papers: Now he is the sage. When you want a great quote, you ask him, even if there's absolutely no reason why he should know anything about it. Neil Baldwin, Biographer: In his last years he actually looks halfway relaxed, if you can imagine Edison being relaxed. And so people would come to his house and they would have these interviews where they would ask him his views on everything and anything you could think of. Interviewer (archival): What you think of the Einstein theory? Thomas Edison (archival): I don't think anything of Einstein's theory because I can't understand it. Narrator: In 1926, at the age of 79, Edison officially retired from Thomas A. Edison, Incorporated -- passing the reigns on to his and Mina's eldest son, Charles, and taking up more or less permanent residence at his home in Fort Myers. Not content to rest on the laurels of the more than 1,000 patents registered in his name, he busied himself with yet another inventive campaign -- to discover and cultivate a domestic source of rubber. Almost completely deaf, suffering from kidney disease and a persistent digestive ailment, Edison had, in a sort of medical experiment, eliminated food entirely, limiting his diet to several daily cigars and a pint of milk every three hours. "I came in with milk," he said, "and I guess I'll go out with it." Returning to West Orange in 1931, after a winter in Florida, he was in such a debilitated state that he was virtually unable to work. Early in September, his kidneys began to fail; by the end of the month, he was confined to his bed. Randall Stross, Biographer: As Edison's health failed, reporters gathered in West Orange. They took over the garage and made it a press office. This went on for weeks. The attention that it received with the most minute change or word from a doctor being sent out around the world as news shows a kind of fame that it's hard to imagine today. Narrator: The news of Edison's passing, on October 18th, 1931, brought forth an outpouring rarely afforded mere mortals. Condolences arrived from all over the world -- from heads of state, civic organizations, schoolchildren. Newspapers from coast to coast ran special features, recounting not only the inventor's death -- but also the by-now-familiar story of his life. Newsreel (archival audio): Workers at his Orange, New Jersey plant paid respects to the genius that freed the world from darkness. Narrator: For two days and nights, Edison's body lay in state in the library of his West Orange laboratory, as more than 50,000 people passed to pay their respects. And on the third night, in response to a request from President Herbert Hoover, radio listeners across the country switched off their lights in unison, the darkness meant as "a reminder of what life would have been like" had Edison never lived. Neil Baldwin, Biographer: It was almost like a biblical catastrophic thing. Like, the inventor of the light -- his light has gone out, kind of thing. Cause he created this technology that was now part of everybody's daily life. Nathan Myhrvold, Inventor and Entrepreneur: They didn't have to have directly owned a phonograph to have heard it and be influenced by it. They didn't all have to have electric light, but they soon would. Thomas Edison was born into a world that wasn't industrialized. Indoor lighting was candles or kerosene lamp. We couldn't record voices or sounds or motions. What Edison left by the end of his life, was a world that was well on its way to becoming the world that we know today. Narrator: "It is impossible to measure the importance of Edison by adding up the specific inventions with which his name is associated," the journalist Walter Lippmann wrote in the days after the inventor's death. "Edison showed that anything could be changed and everything could be controlled." Paul Israel, Thomas Edison Papers: We think of the act of invention as this eureka moment: Aha! The light bulb goes off, we have this great idea. That's invention. But for Edison that was the starting point. Cause he didn't just have ideas and build devices that worked in the laboratory, he actually took them into the marketplace. And he did it over and over again. He came up with a modern process of innovation. Nathan Myhrvold, Inventor and Entrepreneur: There was a dynamism and an acceptance of new ideas that made America the world's inventor. And within America the guy who really practiced invention as a business, as an end unto itself the most was Thomas Edison. Neil Baldwin, Biographer: His imagination was insatiable -- had insatiable need to think of things that were interesting. You know I think we're still all about that being the first to do things and being innovative. It's ingrained in our way of life. Thomas Edison embodies the entrepreneurial spirit of this culture. Nancy Koehn, Historian: We love inventiveness. I think part of it is that you know America in many ways has invented itself. And so I think we love people who can take something out of the ether, which is a dream or you know a kind of you know glint in your eye. You bring it out of the ether into something concrete. That changes all of our lives. Thomas Edison achieved glory as the genius behind such revolutionary inventions as sound recording, motion pictures, and electric light. Watch Chapter 1 of Edison. With over a thousand U.S. patents to his name, Edison's famous breakthroughs are just the beginning. In the fall of 1922, a film crew came to West Orange, New Jersey to document Thomas Edison going about his day. 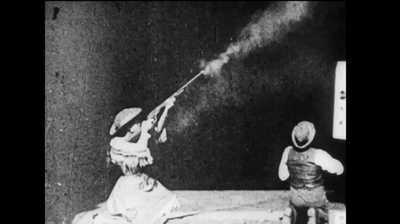 Edison's short, silent film of famous gunslinger Annie Oakley, “Little Sureshot,” proved his kinetograph was a success. Alexander Graham Bell demonstrated his new invention, the telephone, at the 1876 Centennial Exposition in Philadelphia’s Fairmount Park. 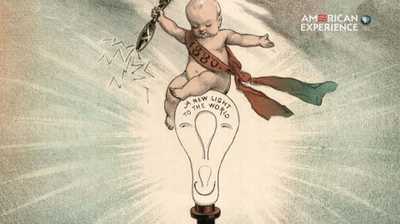 On New Year's Eve, 1879, Thomas Edison unveiled his newest invention: the electric light. In 1894, Thomas Edison filmed sharpshooter Annie Oakley in his Black Maria studio. On December 7, 1877, Edison demonstrated his phonograph at the New York City offices of the nation's leading technical weekly publication, Scientific American. 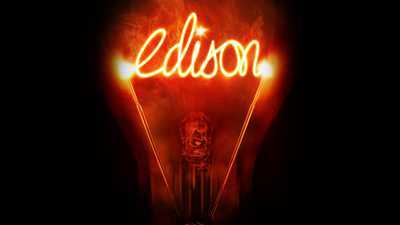 In February 1881, Thomas Edison established the headquarters of the Edison Electric Light Company in New York City. 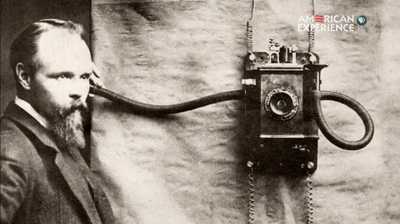 In the 1890s, Thomas Edison worked with his assistant and part-time photographer, William Dickson to create a motion picture camera. 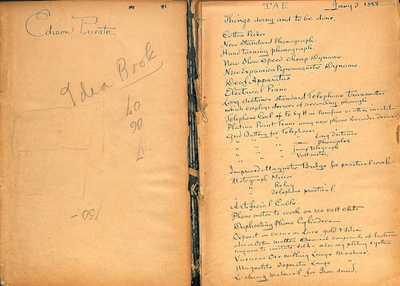 Throughout his life, Thomas Edison kept "idea books" filled with to-do lists, sketches and other notes on current and future projects. 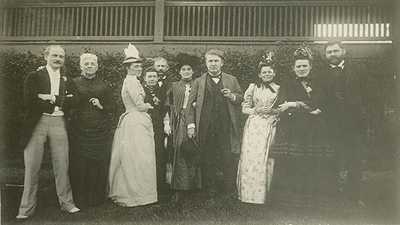 Browse a gallery of images showing how Edison spent his rare leisure time with family and friends. By the time Thomas Edison was 23, his passion to experiment and develop new inventions had earned him a number of patents.